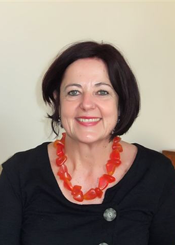 Traude is a registered clinical psychologist who received her psychology degree in Zurich, Switzerland, and who has practiced as a clinical psychologist in New Zealand since 1986. She sees adolescents, adults and couples and has worked extensively in private practice as well as in public settings. She is registered as a treatment provider for ACC for clients with a physical injury, for EAP Services and Insurance Companies. She offers both short term CBT based intervention as well as longer term psychotherapy, combining relational psychodynamic principles, mindfulness and developmental attachment theory. Traude is also a trained practitioner of Dialectic Behaviour Therapy (DBT). The first appointment is often used to comprehensively assess the presenting issues and together with the client to formulate a joint plan for treatment. Apart from working with a wide range of commonly presented problems like anxiety, depression, work related stress, eating issues etc Traude has a special interest in supporting clients to resolve past or recent trauma and she has special training in the treatment of post traumatic stress following abuse accident or injury.